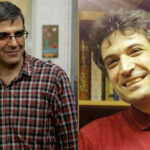 Human Rights Activists News Agency (HRANA)- In the face of the legal obligation to summon defendants a minimum of one week before their hearings, authorities summoned imprisoned civil rights activist Reza Khandan Friday, October 5th for a hearing in Revolutionary Court Branch 15 the very next day. In a note yesterday, Khandan’s lawyer Mohammad Moghimi wrote that his client was within his right not to show up, as provisioned in Section 343 of Criminal Procedure Code. 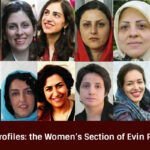 “[…] Such a trial is illegitimate,” Moghimi said. Khandan was arrested by security forces in his home on Tuesday, September 4th after ignoring a September 3rd summons unlawfully issued by phone. He was charged at Branch 7 of the Evin prosecutor’s office and sent to prison the same day. On September 22, 2018, HRANA reported on the referral of Reza Khandan’s case from Revolutionary Court to Evin Court in order to resolve deficiencies in his case file. According to HRANA reports, Ministry of Intelligence security forces searched the homes of Mohammadreza (Davoud) Farhadpour, Jila Karamzadeh Makvandi, and Khandan’s sister on Saturday, August 18th. 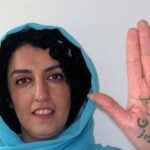 The forces reportedly confiscated pin-back buttons reading “I am against forced veiling” along with letters that Sotoudeh had written to Khandan from prison. 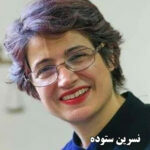 Human Rights Activists News Agency (HRANA) – Human rights lawyer and activist Nasrin Sotoudeh, who is entering the second week of her hunger strike, has been imprisoned since June 14th, 2018 in Tehran’s Evin Prison. Sotoudeh’s temporary detention warrant has been renewed twice in this 86-day stretch. 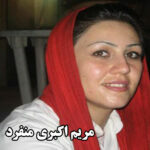 She did not post the bail granted to her and remains in custody in the Evin Prison women’s ward. 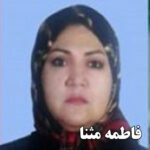 Her husband Reza Khandan, who had been publicly supporting her on social media, was arrested himself on September 4th. Sources close to Sotoudeh believe she has been arrested for carrying out her responsibilities as an attorney by defending the rights of those charged for protesting mandatory veiling. 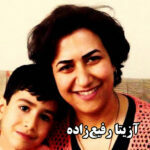 Sotoudeh’s husband Khandan revealed in July that his wife was deprived the right to appoint her own legal counsel. Her attorney of choice was rejected by judicial authorities on the basis of a new law which, in cases of those accused of national security crimes, restricts defendants to choose a lawyer from a pre-approved list. 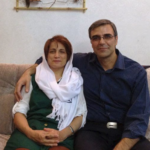 In late July, Sotoudeh was served a charge for which she has already been doled a five-year prison sentence: membership in LEGAM, a Persian abbreviation for the Step-by-Step Campaign to Abolish the Death Penalty in Iran. In a letter from prison, Sotoudeh then announced that she refused to go to court, an action which, according to Khandan, provoked judicial authorities to bring new charges against her. An investigator– together with the Assistant Prosecutor and the Evin Prison Director of the Execution of Sentences — visited Sotoudeh’s prison ward on August 25th to “complete the case.” Over the course of their visit, the investigator leveled three new accusations against Sotoudeh: assisting in the foundation of Christian house churches, incitement to hold referendums, and attempts to hold gatherings and sit-ins. 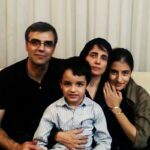 Following the visit, Sotoudeh wrote an open letter to announce her hunger strike, decrying both her own arrest and the pressures that judiciary authorities are reportedly placing on her family, relatives, and friends, e.g. 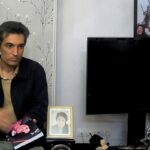 the arrest of civil rights activist Farhad Meysami and the search of her own home as well as those of activists Mohammad Reza Farhadpour, Zhila Karamzadeh Makvandi, and her sister-in-law. Her temporary detention warrant was renewed the second time on September 1st. 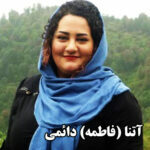 Three days later, her husband Reza Khandan was arrested in his home by security forces after refusing to respond to a telephone court summons, allegedly from the Intelligence Bureau, that he had exposed as unlawful on his social media account. 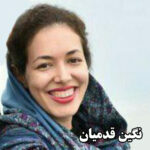 Khandan was later charged in Branch 7 of Evin Prison Court with “Collusion against National Security,” “Propaganda against the regime,” and “Propagation of unveiling in public”. With a bail set at 700 million IRR (approximately $50,000 USD), he joined his wife in Evin Prison, albeit in a different ward. The couples’ children are now without a guardian. Sotoudeh’s arrest in June incited lawyer and Nobel Peace Prize laureate Shirin Ebadi to write a protest letter to Javaid Rehman, UN Special Rapporteur on the situation of human rights in Iran, asking him to use all the legal means at his disposal to fight for Sotoudeh’s release. Philip Luther, Amnesty International’s Research and Advocacy Director for the Middle East and North Africa, was emphatic in his defense of Sotoudeh, stating, “first the authorities jail Nasrin Sotoudeh on bogus charges, then harass, intimidate, and threaten her family and friends, and now arrest her husband. 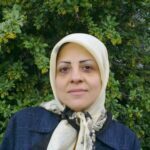 These callous actions illustrate the lengths to which Iranian authorities will go to silence human rights lawyers, even targeting their families” (2). Nasrin Sotoudeh Langroudi was born on June 9th, 1963 in Tehran, Iran. She is a legal expert, licensed lawyer, and social activist with a master’s degree in International Law. She has actively participated in several civic campaigns and associations, such as the Defenders of Human Rights Center, One Million Signatures Campaign to Change Discriminatory Laws Against Women, the Step-by-Step Campaign to Abolish the Death Penalty, and the Child Rights’ Protection Association. She has represented many victims of child abuse, as well as human and women’s rights activists and juvenile offenders facing the death penalty. Sotoudeh has frequently been lauded as a human rights champion and is a recipient of the EU’s Sakharov Prize for Freedom of Thought. 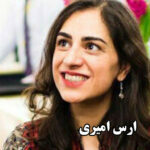 With her husband Reza Khandan, she has a daughter, Mehraveh, and one son, Nima. Sotoudeh was previously arrested in August 2010, when she was issued an 11-year prison sentence, 20-year travel ban, and 20-year ban from practicing law. She appealed the sentence to six years in prison with a 10-year ban on practicing law. 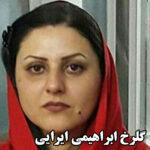 She spent September 4th, 2010 to September 18th, 2013 in Evin Prison on charges of “Acting against national security.” Immediately upon her release, her licence to practice law was revoked for three years. 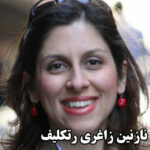 In response, she staged a sit-in before the Iranian Bar Association building. Joined in support by several other lawyers, the sit-in resulted in the restoration of her licence.